Thank you so much for offering me a few minutes of your time. My name is David Grogan. I do not live in Mansfield. I do not have children in the Mansfield school district. I do, however, teach students who become teachers in public schools, including Mansfield ISD. I teach music at the University of Texas at Arlington. When I heard you might be considering language changes to your discrimination, harassment, and retaliation policies, I became interested, as this impacts my students at UT Arlington. I was raised, as many in the audience here, in a church. My parents worked in ministry at the church I grew up in. To say that I attended church nearly every time the door was open wouldn’t be much of a stretch. To this day, I am a faithful man in my church. If the doors are open, I am probably there, helping in some way. I am heterosexual, and have been faithfully married to my wife for 28 years. She would want me to say that it will be 29 in August! Because of who I am, I have enjoyed certain privileges that I have often taken for granted. For example, being able to openly talk about my wife and my marriage without fear of offending anyone, getting yelled at, or even losing a job that I love. My Christianity tells me that “real” religion involves taking care of those that are marginalized. It informs me that how I treat the “least of these” has a bearing on my relationship with God. I have taught in public high schools and middle schools in Texas, and that is also about taking care of the least of these. Teaching is, no doubt, as much of a mission as it is a career. People in the LGBTQ community are often marginalized. They are commonly disowned or ostracized by their families, and often have smaller than average circles of support. There is a sizable disproportionate number of LGBTQ teens who are homeless. They have higher numbers of suicide attempts. The deck is stacked against the beautiful people that I know in this community. When I have LGBTQ students who have successfully navigated through this social minefield and ask me where they should apply for employment, I definitely take into consideration whether or not a school district will be supportive of them. If I believe that a school district will not support who my student is, then I will not encourage them to apply there. People who have found success through tribulation, like my students in the LGBTQ community, are holders of that enviable and elusive gift, “grit.” Grit is a such a buzzword today, and for good reason. People with grit make great employees. Many employers now include tests to seek out employees who have this very trait. People with grit get things done, even when there are obstacles. As a former public school teacher, I can tell you that there are always obstacles. My LGBTQ students are adept at finding ways to get things done, because they have grit. This is why I am encouraging you to be on the forefront of what is going to happen everywhere eventually. Please include language that protects all your employees and students. All of them. 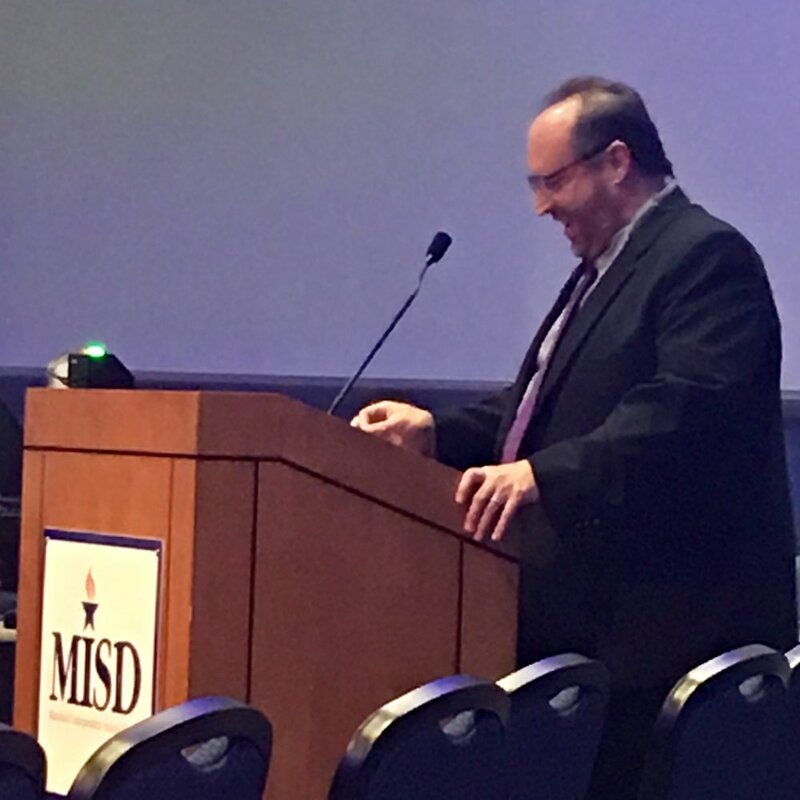 Please include sexual orientation, gender identity, and gender expression explicitly in the discrimination, harassment, and retaliation policies of MISD. I want to recommend Mansfield Independent School District to all my students as a great place to work; as a place that will support them, as they are. Please help me believe this by clarifying the language of your policies to protect this marginalized but important group of employees and students. Please be at the front of this inevitable change, and not part of the reluctant rear. Thank you for your time, and may God bless your efforts.